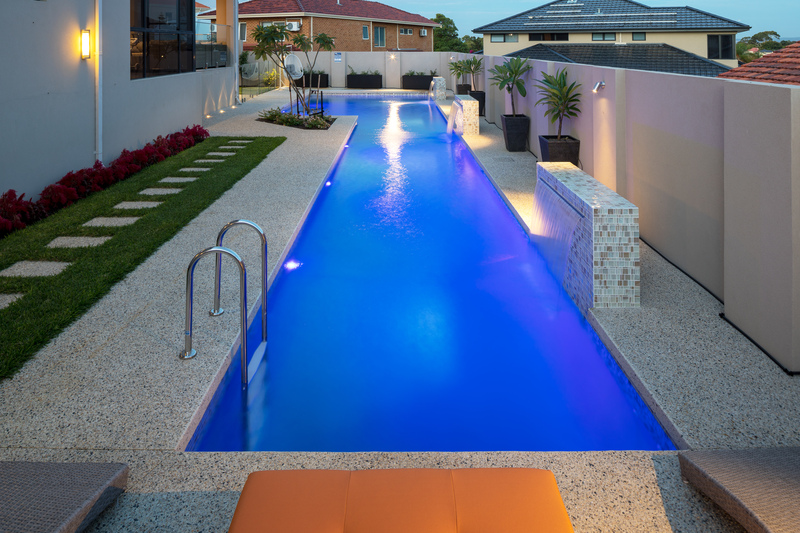 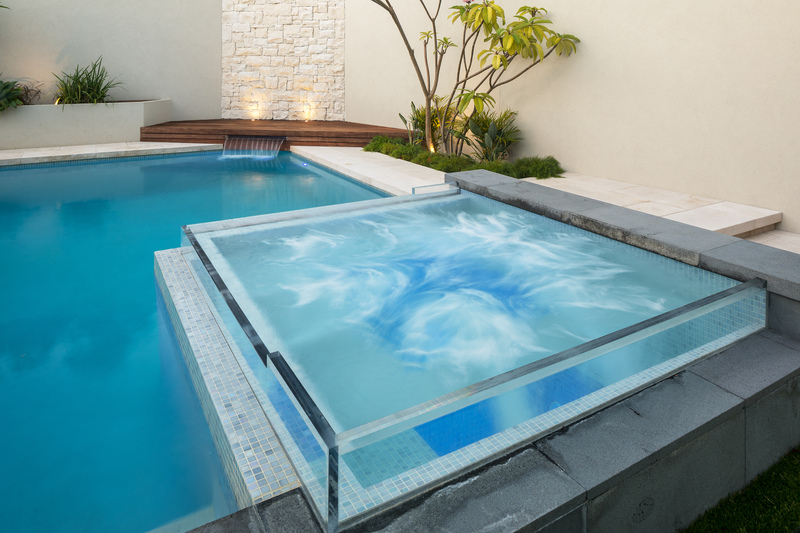 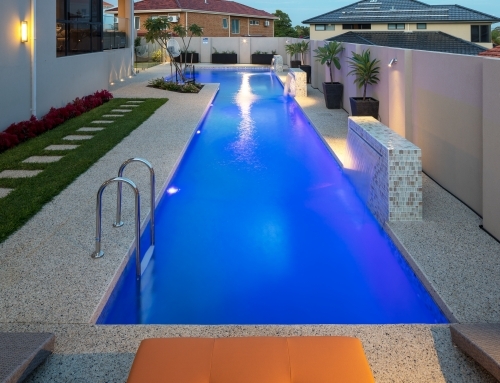 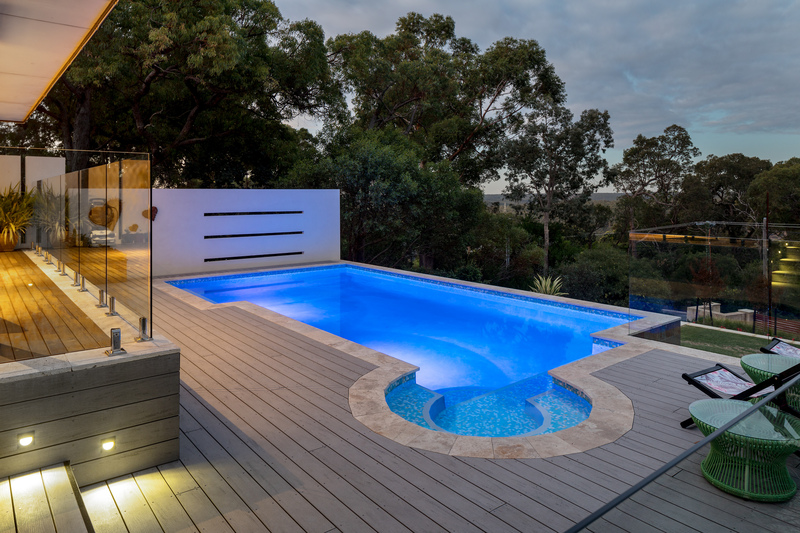 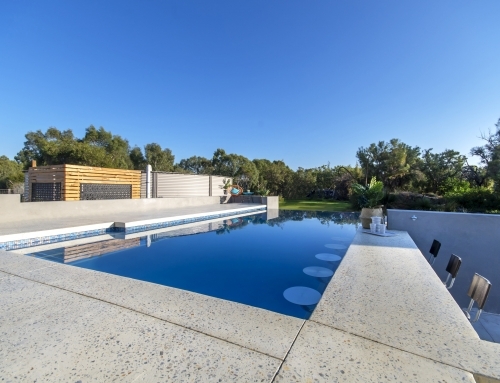 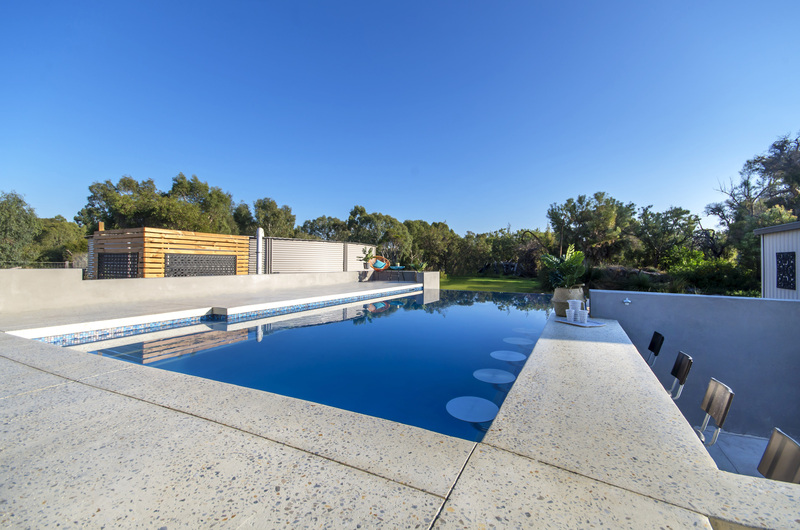 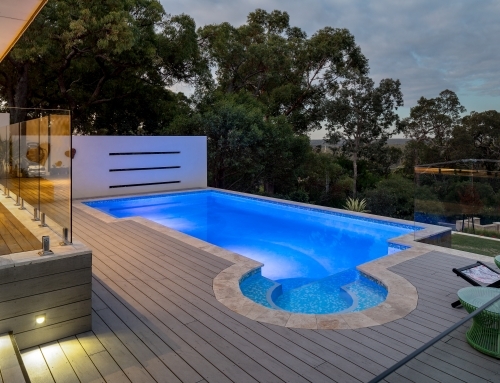 Built on the side boundary of a sloping block, this lap pool has been constructed partially out of ground, enabling the alfresco and surrounds to be at the same datum height making full & flowing use of an otherwise awkward space. 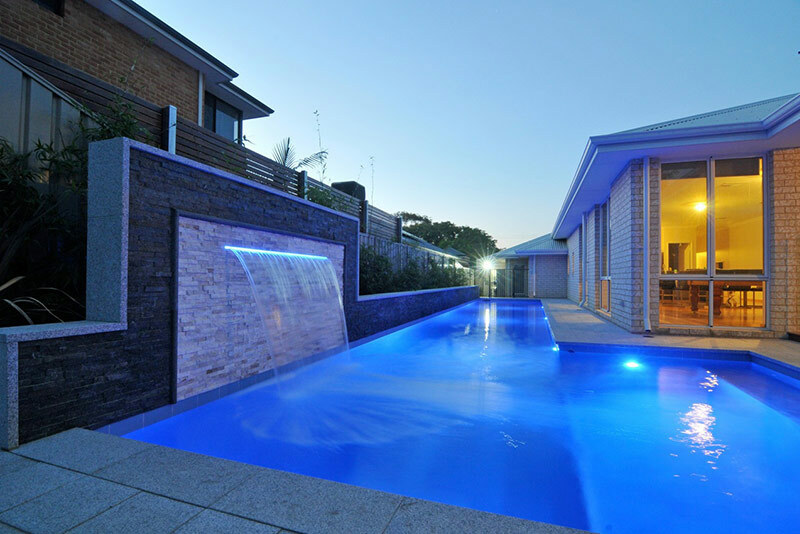 A full length high rise wall and water feature was constructed and clad to provide an attractive and functional screen. 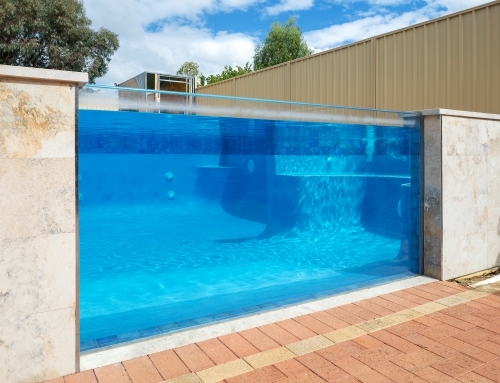 A variable speed pump was employed to assist with reduced running costs and an chemical dosing system ensure the water is suitably balanced for swimming. 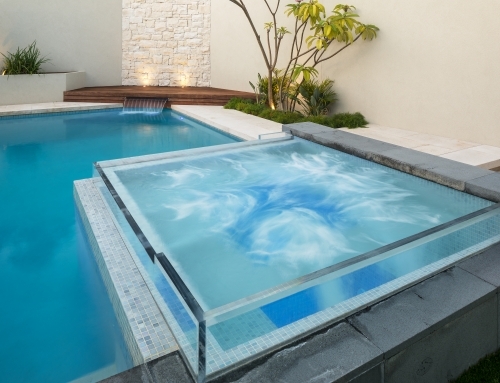 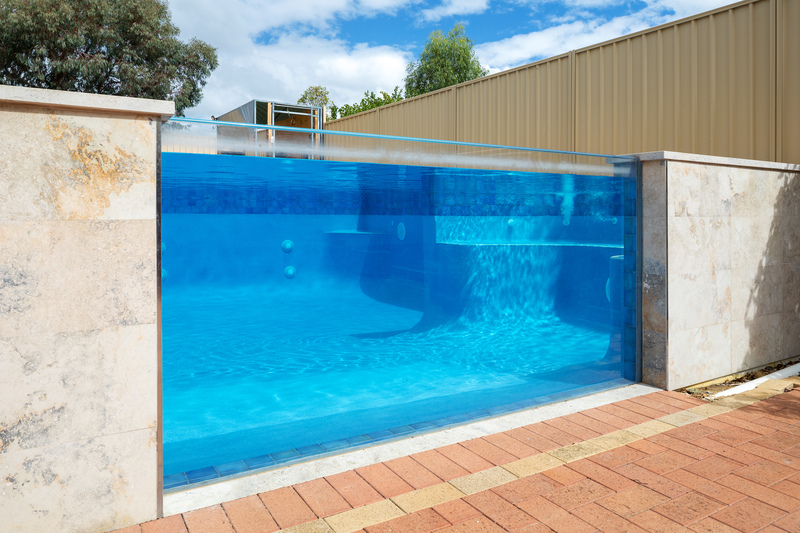 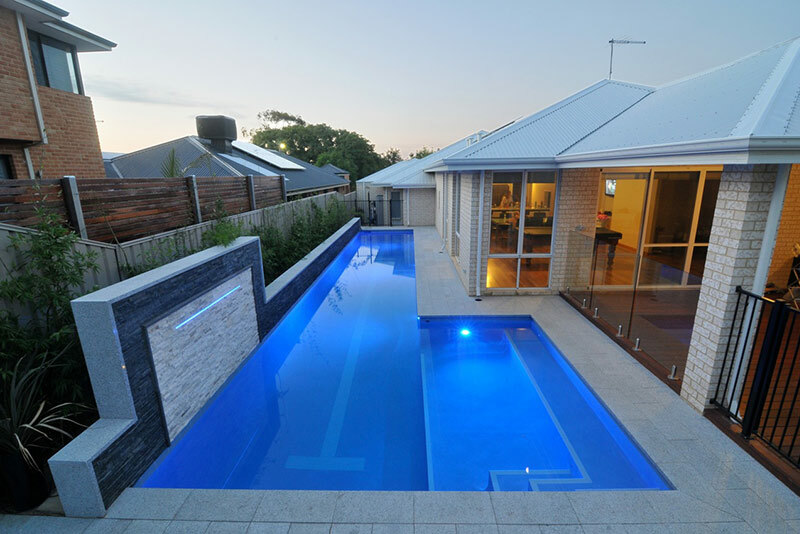 The pool has a lane tile for swimming laps and an extended shallow ledge for the clients young family to enjoy. 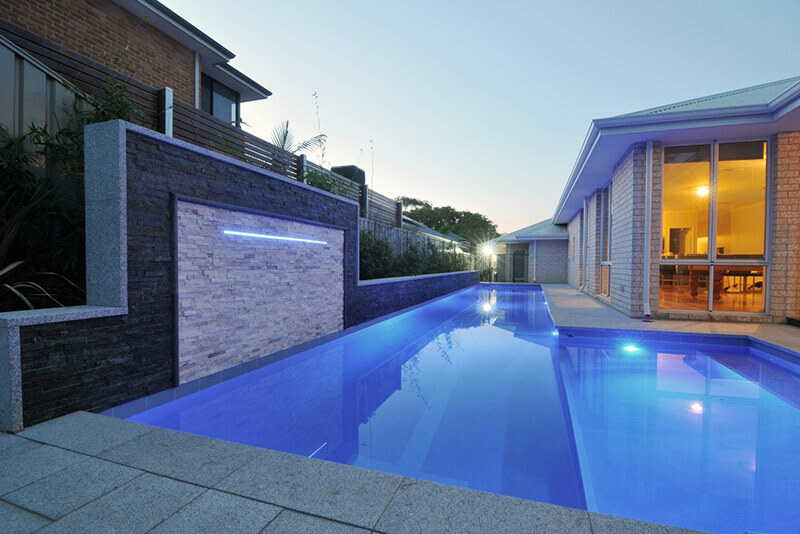 At night the pool and water feature’s LED lighting adds to the ambiance of this project.